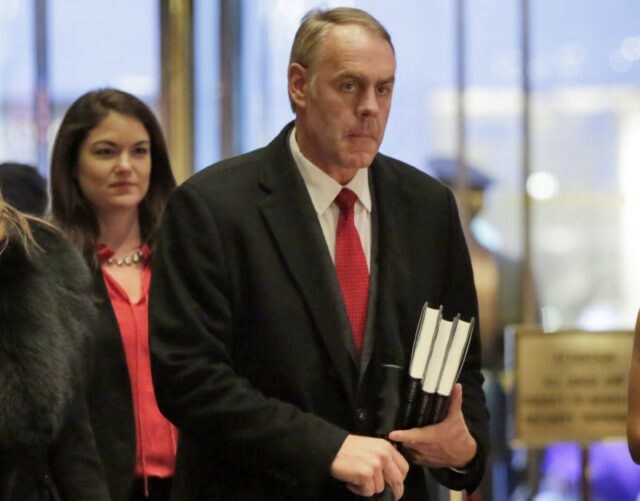 WASHINGTON (AP) — President-elect Donald Trump’s choice for interior secretary says the nation’s vast federal lands should be used for a variety of purposes, from hiking, hunting, fishing and camping to harvesting timber and mining for coal and other energy sources. Zinke has said he would never sell, give away or transfer public lands — a crucial stance in his home state of Montana and the West where access to hunting and fishing is considered sacrosanct. 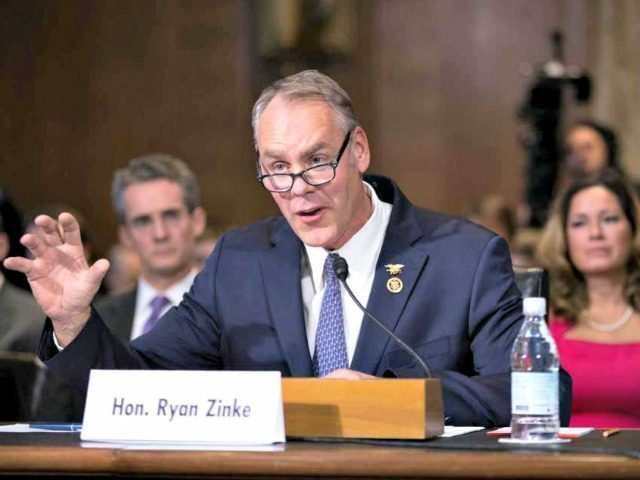 “The view from the Potomac is a lot different from the view from the Missouri,” said Zinke as he repeatedly made the point that centralized decision-making in Washington, pushing national one-size-fits-all solutions, has fostered frustration in the west. The congressman said he would channel his hero Theodore Roosevelt, who thought big, bold, and with the idea that you should be able to look back in 100 years and be proud of what you did. “I would say there are three immediate tasks,” he said. “The first is to restore by working with rather than against local communities and states,” he said. Zinke said his second priority is the $12.5 billion worth of maintenance and repair projects in the national parks. The congressman said that President-elect Donald J. Trump has committed to a major infrastructure and jobs bill, which he expects to include a decent part of the national parks backlog. Turning around the poor morale of the Department of Interior‘s workforce would be the third goal, he said. A combat veteran of the Iraq War, Zinke said he learned from his military service that when morale on the front line is poor, it means the morale in the rest of the force is in trouble. The congressman said that in some parts of his state, if you eliminated the coal industry, the unemployment rate would reach 90 percent. Given its value to the economy, America should lead the world in the technology needed to exploit the energy locked in coal cleanly. 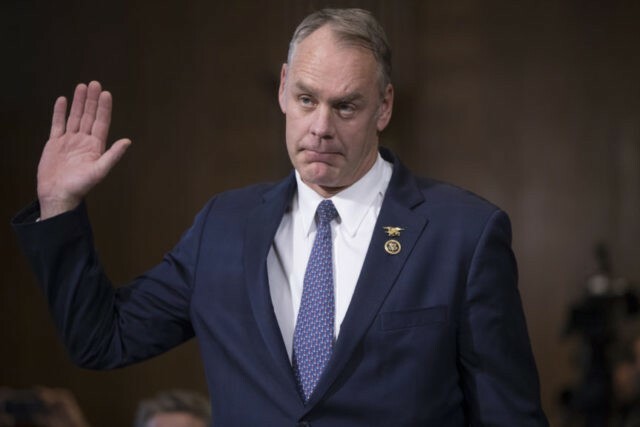 Zinke was introduced to the committee by the two senators from his state, Republican Sen. Steven D. Daines and Democrat Sen. Jon Tester. Both senators vouched for the congressman, but it was interesting that Tester stepped up for Zinke, as the congressman was under tremendous pressure to run against Tester when he comes up for reelection in 2018. Daines, who is also a member of the committee, said he was proud to know Zinke and that if he is confirmed, he would be the first Montana resident to serve as a cabinet officer. Many of the senators used their time to address issues affecting their own states, unlike in other confirmation hearings, where senators went sharpshooting at the nominees, wording questions meant to highlight an awkward disagreement between the nominee and the president-elect. The major exception to this trend was Sen. Bernie Sanders (I.-Vt.) about whether or not “climate change” was a hoax, as Trump has said at rallies and in Tweets. Sanders: You do not believe it is a hoax? Sanders: Actually, there is not a whole lot of debate now. The scientific community is virtually unanimous that climate change is real and causing devastating problems. There is debate within this committee, but not inside the scientific community. In a fuller response, Zinke told Sanders and the committee that he accepts that the climate is changing and that man has some effect on the change. However, he was not ready to then commit to any program that would hurt the lives and businesses of regular Americans without putting their concerns into the mix. A number of exchanges dealt with the controversy of protecting the sage grouse, a bird found in the northern plains of the Midwest and across the Rocky Mountains. Federal plans to protect the bird have pulled in military personnel, as the bird is found on at least eight military installations. Zinke told the senators he does not think federal plans have been well thought out, given that there is no population census of the species. In addition to the challenges to the military, the sage grouse is also found in areas where there is ranching and oil and gas extraction. Idaho Republican Sen. James E. Risch said where he needed Zinke to weigh in was in the intramural battle between the Fish and Wildlife Service, which designated the bird “threatened,” but not endangered, and the Bureau of Land Management, which manages leases of federal land for oil, gas, mineral, timber and other uses. During the confirmation hearing for President Barack Obama’s Interior Secretary Sally Jewell, Risch asked her if she had ever heard of the sage grouse and she said no. Risch said western governors, stakeholders, and the Fish and Wildlife Service developed a plan that the Fish and Wildlife Service brought back to Washington, only to have the Bureau of Land Management object. The former Idaho governor said he liked what he heard from Zinke and hoped he brings wholesale changes to the Department of Interior, just as people are expecting at other departments. When the hearing ended, there was no sense that any of the senator would be motivated to oppose the congressman, who is expected to be one of the first cabinet nominees to be confirmed. WASHINGTON (AP) — Donald Trump’s choice to head the Interior Department on Tuesday rejected the president-elect’s claim that climate change is a hoax, saying it is indisputable that environmental changes are affecting the world’s temperature and human activity is a major reason. Dem Sen. Tester Praises Ryan Zinke: "He Is Well Equipped To Hold This Post With Accountability"
Sen. Daines Praises Zinke: "I Have No Doubt He Will Be A Fighter For America, For Our Public Lands"
Zinke Stresses Importance Of Ground Up Policies: "You Need To Listen" & "Involve The Communities"